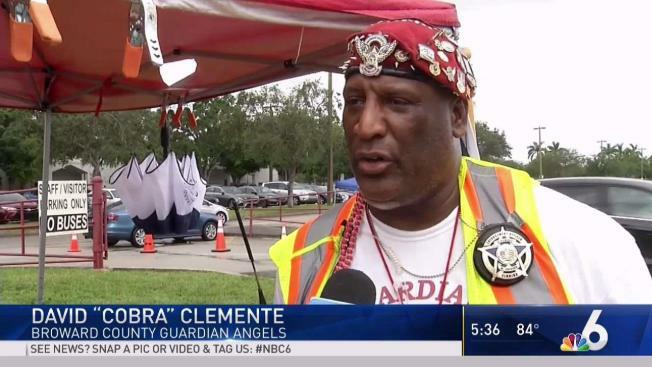 With red berets and white wings, the Guardian Angels have been watching over Marjory Stoneman Douglas High School since February's shooting and say they'll be there as long as they need until school lets out. When a gunman killed 17 people at Florida's Marjory Stoneman Douglas High School in February, senior Chris Grady was slogging through his final few weeks before reporting for duty in the Army. The slight, wavy-haired 19-year-old wanted to do his small part to protect troops fighting overseas, he said. 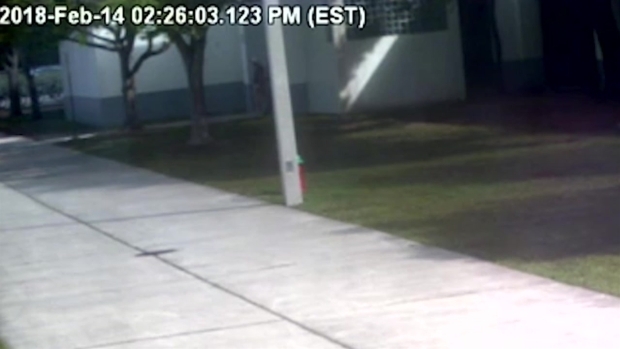 But now bullets were tearing through his own suburban Florida school. As they prepare to graduate on Sunday, the Parkland seniors are grieving over the loss of friends while navigating tough decisions about the future. For many seniors, the months since the shooting have been a blur of funerals, marches, voter-turnout events, television interviews and brushes with celebrities. Amid all that, the seniors also must decide: Should they go to college, enter the military or make a career of the anti-gun activism that's already shaping Florida policy and driving a national conversation? Today Grady spends the bulk of his time as an advocate. He is part a group of students who organized the March for Our Lives in Washington, and he's helping shape the direction of that group's movement. He's struggled with whether to withdraw his Army enlistment. "I made a commitment to this country that I take seriously, but how can I commit to protect people abroad when they're getting shot in their classrooms at home?" Grady said. For others, a college path is a way to honor their fallen friends by forging on with plans made before the shooting. "When I go to college, it's going to be for Guac and Meadow, and when I walk the (graduation) stage, I'm walking for them. When I get my first job, that's Guac's first job, that's Meadow's first job," said Hemans, who wants to study business management and become a sports agent. Eighteen-year-old Samantha Fuentes is recovering from bullet wounds in both legs and just had shrapnel removed from behind her right eye. After the shooting, she finished her senior year with online classes instead of returning to school, but she said she still planned to start college in the fall and move out of her mom's house. Her physical wounds are mirrored by internal changes. She stopped working at a chocolate shop because the place felt too small for her, too tight to escape. "I'm not afraid of going back to school. I'm not afraid of schools. I don't think you should be," Fuentes said. "I think you should be afraid of other things — a lack of change, a lack of progress." Her nerves were on display at the March for Our Lives in Washington, when she vomited on stage in the middle of a speech before thousands of people. Last week, as she received a Freedom of Expression Courage Award at the PEN American gala in New York, she became tearful and nauseated. She fled the podium, then returned a few minutes later to a standing ovation. For some students, the success of their activism has proved too loud a call to ignore. Like Grady, many are changing plans made before the shooting. David Hogg, one of the most recognizable faces among the student organizers calling for gun reform, is taking a year off before starting college to focus on activism. Hogg says he struggles to enjoy his limited downtime. He feels it's wasteful because he wants to make a difference. Even prom was a bit of a struggle, he said in a telephone interview with The Associated Press. "Oftentimes at these events I kind of feel unproductive," he said. "I always feel like I have to be doing something and getting something done." His family is planning a small dinner to celebrate his graduation. "Oftentimes my mom forces me to relax and have a party or whatever," he said. "I feel like I kind of have a bigger purpose right now ... people go to college to change the world and I feel like our entire movement ... we're already doing that." For Grady, all along he's mulled his decision about the Army — during travel to Columbine High School for the anniversary of the shooting there, while choosing how to "prom-pose" to his date. In May, he called the recruiter and withdrew. "I think about it a lot, and hope I don't regret it," Grady said about the Army. "But I know what I'm doing is right." Like Hogg, he plans to take a break from school and work with his March for Our Lives friends to drive voters out for November's elections. "It's an opportunity," he said. "We've already been learning how to do things in the real world."